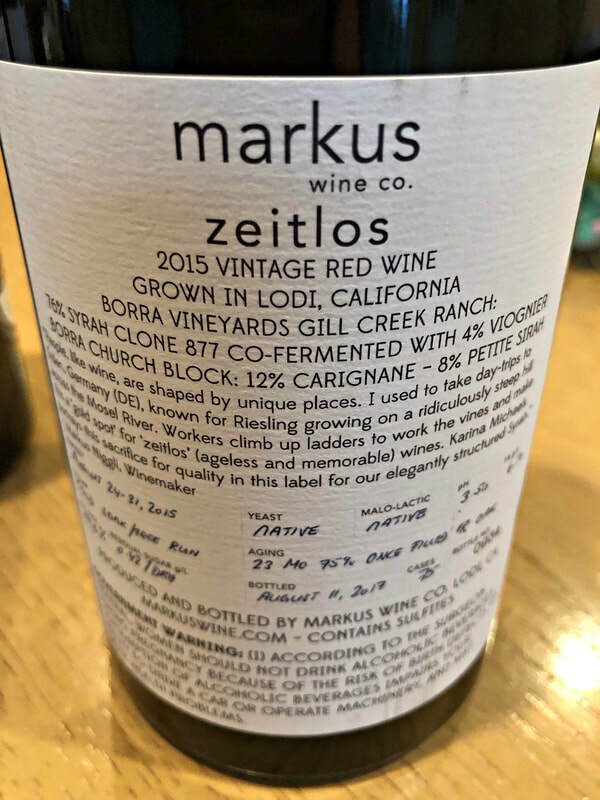 Racy white wines of unusual varietals led the charge for Markus Niggli into his own Lodi-based label, Markus Wine Co., but his new venture into red wines redefines Lodi’s terroir with panache. Niggli’s expanded footprint has brought his European sensibilities to the wonderland of Lodi wine, crafting wines with perfumed aromatics, mouthwatering acidity and penetrating flavors, edgy reds that somehow balance delicacy and body. Markus Wine Co. is shaking up expectations of what Lodi red wines are all about. Niggli first came to Lodi in 2006, working with Borra Vineyards as their cellar master, eventually taking over winemaking duties from Steve Borra in 2010. 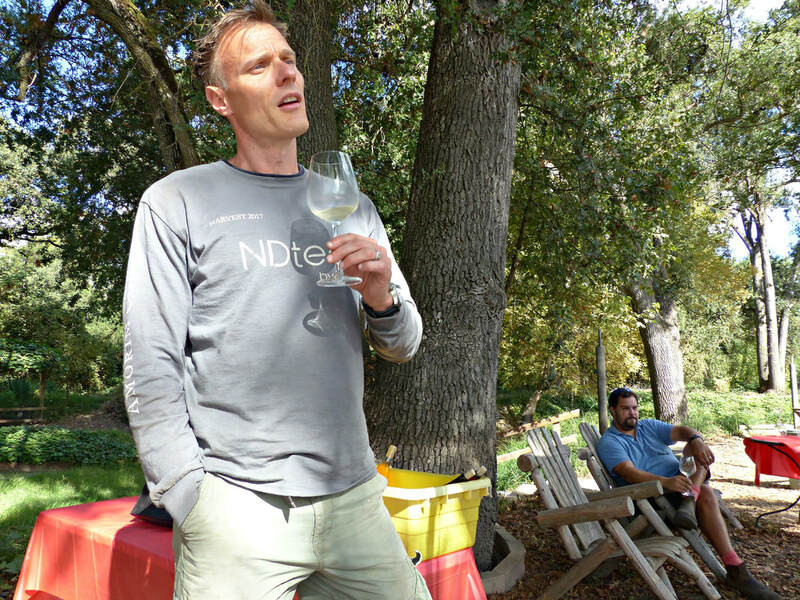 Jumping into winemaking that reflected his Swiss roots, Niggli started Markus Wine Co. under the Borra Vineyards umbrella the following year, with avant-garde white wines made from German varietals grown in Mokelumne Glen Vineyard. Kerner, an aromatic white grape crossing of Trollinger and Riesling, made up the foundation of his Nativo and Nimmo blends. Branching out with other white wines under the Markus Wine Co. banner in 2014, Markus Joey Insieme Torrontés and Nuvola Gewurztraminer. and eventually a Zeal Rosé, Niggli decided to put his spin on the red wines of the region. 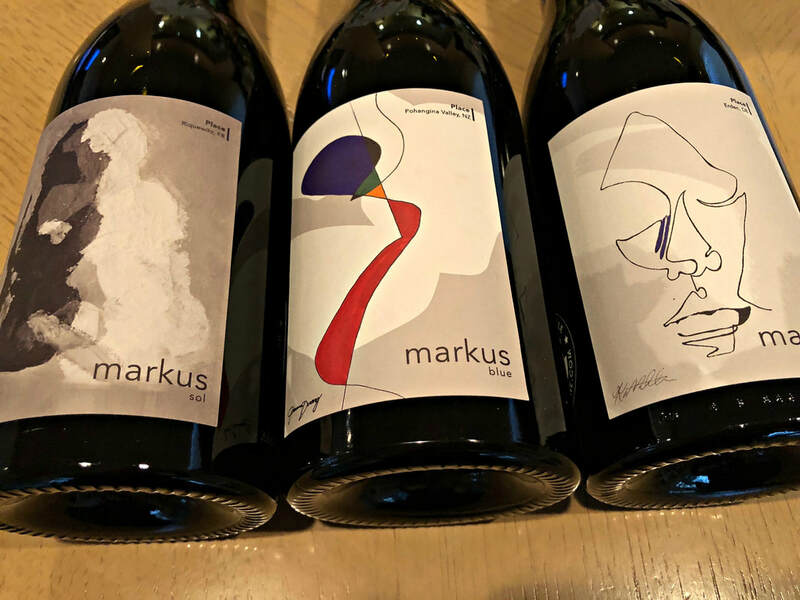 Adding four reds to his Markus wine lineup, Niggli pulled from Lodi’s bounty of red winegrape varietals, Carignan, Syrah, Old Vine Zinfandel, Petite Sirah, and Mourvedre. Cold-soaked, fermented with native yeast and minimal oak, these stylish wines are age-worthy, they can be drunk young or a decade from now, and are very food-friendly with their vibrant acidity. Extremely small production wines, 2015 is the first vintage for all. The original art on the labels represents an experience from Niggli’s past, and the names meaningful describe their essence. 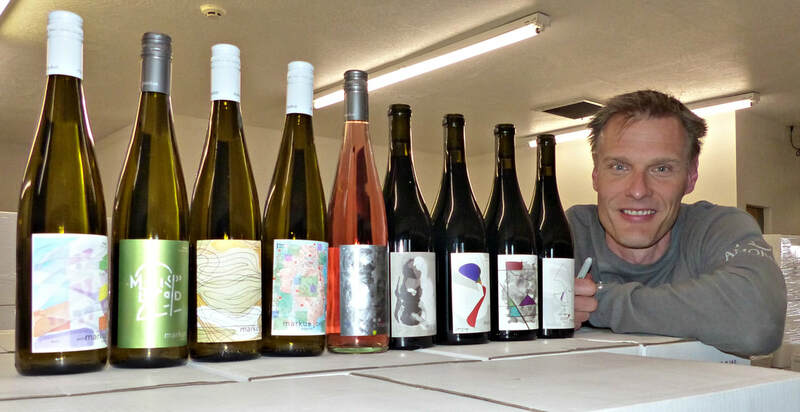 Noted in a quote on the labels from Markus, “People, like wine, are shaped by unique places”, these wines reflect Niggli’s memories and how they formed his winemaking perspective today. 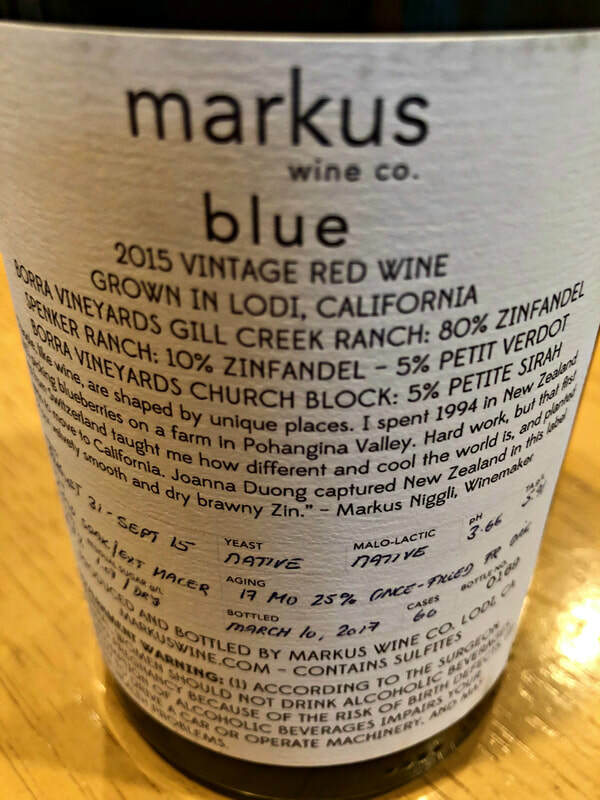 Markus Blue 2015 is the biggest wine, 16.5% ABV, 90% Zinfandel with 5% each of Petit Verdot and Petite Sirah, a classic old vine Zinfandel with spice. Intense and focused, with black fruit and dried plum, velvety tannins float on a muscular body with a touch of earth and spice. The label art, by Joanna Duong, reflects Markus’ time in New Zealand, picking blueberries in the Pohangina Valley, a turning point in his life when he made the decision to leave Switzerland and move to California. 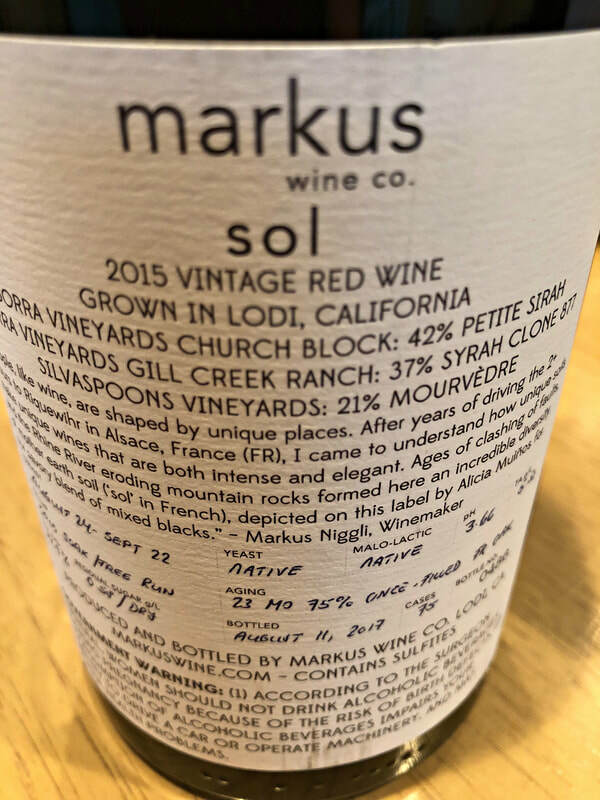 Markus Sol 2015, a blend of 42% Petite Sirah, 37% Syrah, and 21% Mourvedre, is luscious and savory, a black-fruited beauty with dense tannins, and a long finish accented by tobacco and cocoa and a hint of damp earth. 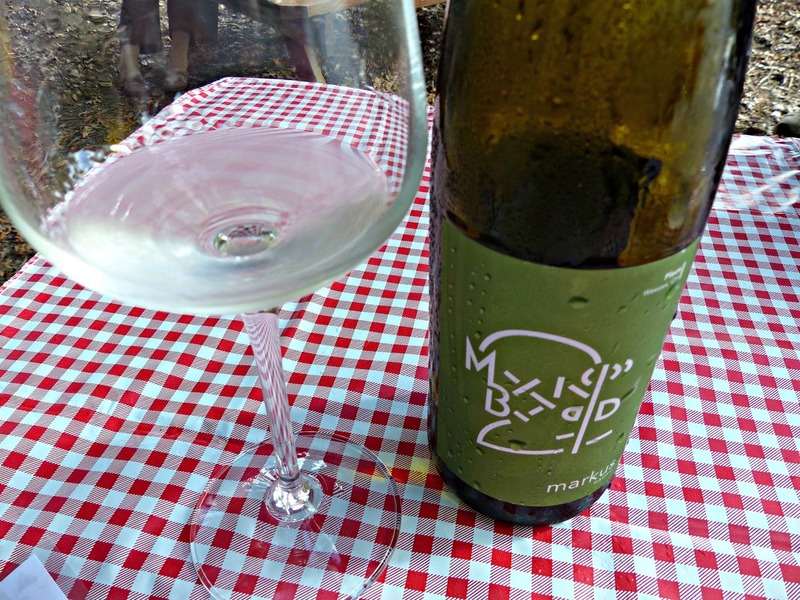 The “Sol” label, created by Alicia Muiños, refers to the power of soils' influence on wines, realized by Markus on a trip to Riquewihr in Alsace. He appreciated the aromatic concentration, brilliant acidity, texture and power of Alsatian wines, which seemed to spring from the diverse and fractured soils of the region. Niggli's goal is to produce intense and elegant wines, from the many different soils of Lodi. 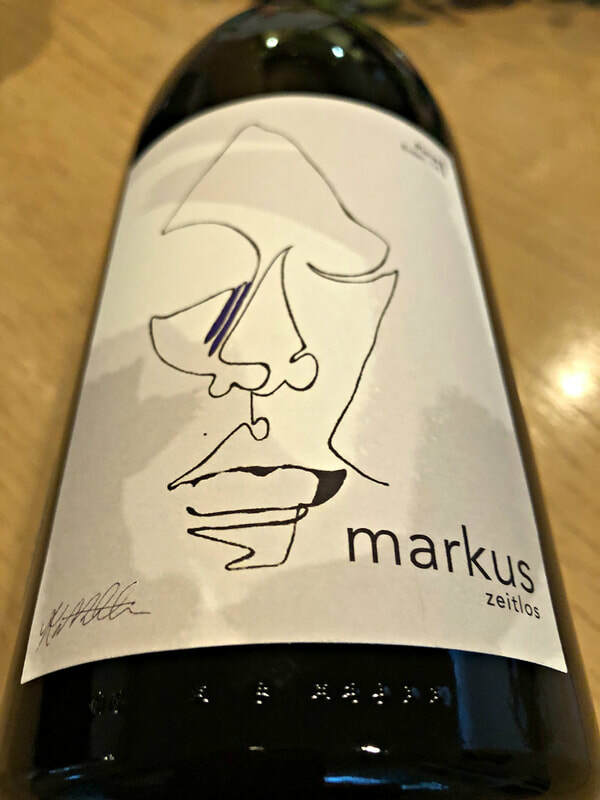 Markus Zeitlos 2015, 76% Syrah, 12% Carignan, 8% Petite Sirah, and 4% Viognier, is a complex wine that intertwines body, structure, and balance in a skillful manner. In the fashion of a classic Northern Rhône, the Syrah and Viognier are co-fermented to intensify the color, then blended with the other reds, yielding a fascinating palate of savory, spicy and fruity. Aromas of violets and fruitcake lead to flavors of sour cherry and spiced plum, a touch of earth rounds out the firm tannins. 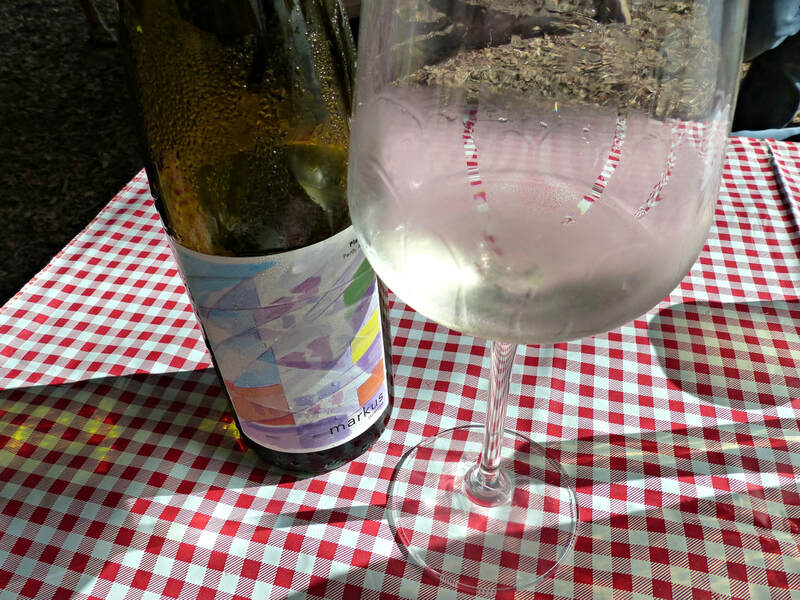 The “Zeitlos” label, by Karina Michaels, alludes to the struggle for quality, witnessed by Markus on a day trip to Erden, Germany, where vineyard workers climbed steep ladders to tend to the vines on a hill overlooking the Mosel River. The word, Zeitlos, translates to ageless and memorable, and perfectly describes this wine. 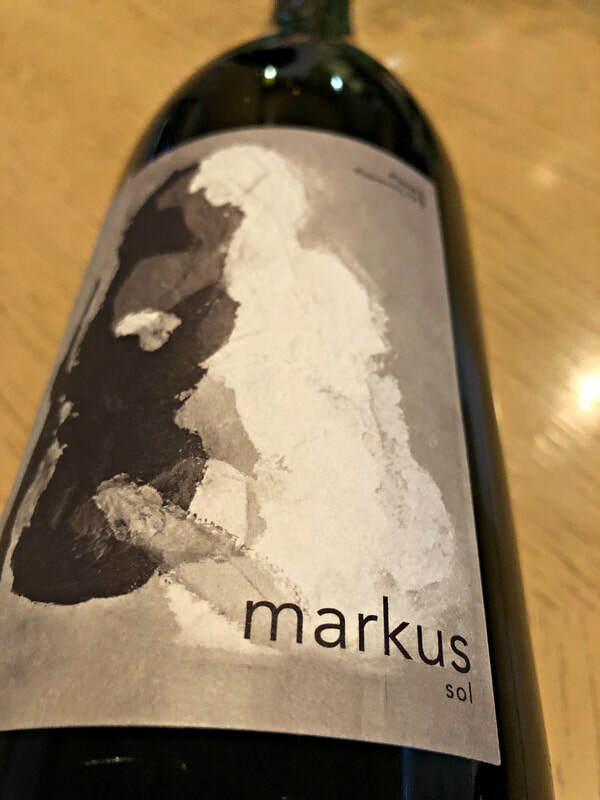 Markus Domo 2015, 75% Carignan, 15% Petite Sirah and 10% Syrah, is focused on red fruit, sour cherry and tart plums, that evolves into a meaty palate with a touch of white pepper and leather. This balance of body and acidity gives the impression of a weighty red that is light on its feet, fascinating and imminently drinkable. The Domo label, created by Annerose Ross, refers to the home Niggli has made in Lodi, where everything is possible, and what he captures in the bottle is part of the quest of a new definition of quality Lodi wines. Glorious fruit, beautiful mouthfeel, a structural dance between acidity, tannin, and body, Niggli has deftly created a range of red wines that defy the typical definition of Lodi red. Already critically recognized by Wine Enthusiast, these wines elevate and confound what you thought you knew about Lodi reds. While you can see through the gorgeous ruby red color, the aromas and flavors are intense and mysterious, a result of Niggli’s talented winemaking that culminates in very sophisticated wines. 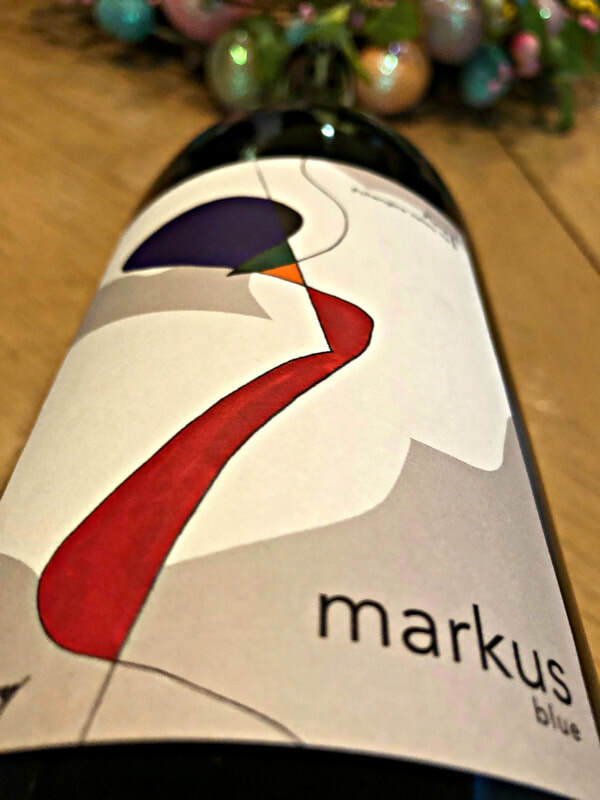 Although Markus Wine Co. doesn’t have its own tasting room at the moment, his wines are available online, at markuswine.com, and can be tasted and purchased at the Lodi Wine & Visitor Center.